Amazing FUN Party Entertainment for kids and Adults! We offer entertainment for any family function to make your event truly memorable with a burst of color, fun and safety! We offer entertainment including Face Painting with a Professional Face Painter, Balloon Twisting Art, Fun Party Games for all to enjoy, Kid Friendly Party Music, Dancing Costumed Characters, Educational Craft Activities, Party Dancing, Festive Henna Designs, Temporary Glitter Tattoos, Ink Black Temporary Tattoos, Flash Foil Tattoos, Princess Parties, Pirate Parties, Ceramic Painting Crafts, Sand Art Party Crafts, Jewelry Bead Crafts, Pearler Bead Crafts, Event Planning, Party Balloon Decorations, Candy Buffets, Photographers and much much more! Welcome to your one stop for all of your party entertainment needs! 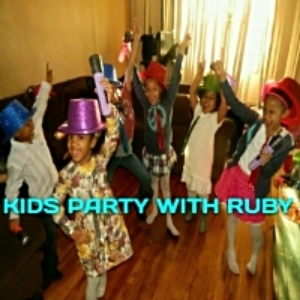 "KIDS - PARTY WITH RUBY" is a kids entertainment group specializing in childrens parties in the New York area. We bring the entertainment to YOUR party! KIDS PARTY WITH RUBY offers fun party entertainment for kids and adults. We bring the party to you and offer tons of activities. Party activities include beautiful face painting, fun balloon twisting, airbrush tattoos, henna with glitter, glitter tattoos, Sand art, Plaster Painting crafts, tutu craft creations, jewelry making, sing alongs, dance contests, characters, games, clowns, metallic foil tattoos and more! We travel throughout new york and surrounding areas. Packages begin at 1 hour and go up. Our team with make your event truly unforgettable! Call us to see how we can make your event magical and everlasting. Packages are very flexible and can include COSTUMED CHARACTERS, FULL FACE PAINTING AND BALLOON TWISTING, CRAFTS, ACTIVITIES and more. When booking with our company you receive FREE extra's! Most packages include a complementary KIDS MUSIC. Packages may also include BUBBLES to be blown throughout your party with a bubble machine. EVERYONE LOVES BUBBLES! Plus, we can have GAMES at your party too! We strive to make your events AMAZING and UNFORGETTABLE! The characters you may invite to your party are SPONGEBOB, DORA THE EXPLORER, ELMO, BIG BIRD, Yo Gabba Gabbas' BROBEE and FOOFA, MICKEY MOUSE, MINNIE MOUSE, LA LA LOOPSY, JAKE THE PIRATE, DOC MC STUFFINS, SOFIA THE FIRST, PAW PATROL CHASE AND MARSHALL, SPIDERMAN + BATMAN! Make your child's party AMAZING!!! The GAMES we incorporate are pin the tail on the donkey, hot potato, limbo, 10 foot round canopy parachute with balls, children's bowling, ring toss, hot potato, potato sack racing games, velcro darts, bean bag toss, ring toss, musical chairs, dancing games plus much more. We even have sidewalk chalk for outdoor events. Ask us about incorporating dance entertainment for the kids of the party! We are able to assist the kids in dancing to the hokey pokey, Macarena, The Chicken Dance, The Twist, ELMO SLIDE, freeze dance games, cha cha slide, gangnam style dane, harlem shake, chicken dance, cupid shuffle, hampster dance and many more. We offer FULL face painting. We arrive with poster boards of face painting pictures to allow the children to pick which character they would like to be transformed into. (We have lots of options.) PLUS we take requests too! It's fun for ADULTS and CHILDREN! In our experience adults can't wait for a painting too! We use SNAZAROO Professional face painting kits which is FDA compliant and is the only brand to have a toy safety rating. The paints are hypoallergenic PLUS we even use gloves while painting. We also use FDA compliant, cosmetic grade glitters and rhinestones. All are removable easily with soap and water. We are insured. BALLOON TWISTING is done using special Qualatex twisting balloons to make various balloon animals, hats, swords, flowers, hearts, aliens, magic wands and more. PACKAGES INCLUDE 1 to 2 HOURS OF ENTERTAINMENT, OR MORE IF REQUESTED! We also have special pricing available for BLOCK PARTY EVENTS, STREET FAIRS, FESTIVALS, FUNDRAISERS, SCHOOL EVENTS, GRAND OPENINGS, STORE ATTRACTIONS and more. You may also view our facebook business webpage with pictures of some of our party's and photos of our characters. Do please "like" it to receive updates. We NOW also travel throughout NY to accommodate all parties. All children deserve an AMAZING party! Ruby and her staff give that "EXTRA SPECIAL TOUCH" when planning parties and entertaining to make every party extra special for ADULTS AND CHILDREN! We are available to be booked for Anniversaries, Baby Showers, Bachelor Parties, Bachelorette Parties, Banquets, Bar Mitzvah Ceremonies, Bat Mitzvah Ceremonies, Birthday Parties, Children's Birthday Parties, Celebrations, Christenings, Christmas Parties, Church Services, Club Night Events, Community Events, Conventions, Corporate Functions, Dinner Dances, Festivals, Fund Raisers, Graduation Parties, Picnic, Private Parties, Proms, Restaurants, Reunions, Sweet 16 Parties, Weddings, Wedding Ceremonies, Wedding Cocktail Hours, Wedding Receptions, Baby Showers, School Party, Daycare Party, House Party...and more. Please call us as soon as possible to ensure we can accommodate you at your requested time, the sooner the better. Thank You and Have Fun! If you are interested in possibly inviting us to your event, please fill in the following inquiry form. We will have an opportunity to speak with you about your event, options we can offer, special gifts for the special child of the event and pricing. There is only a confirmed booking of entertainment with KIDS PARTY WITH RUBY when a signed contract is completed with a secured deposit is received. SPACE IS LIMITED, PLEASE CONTACT US AT YOUR EARLIEST CONVENIENCE. Thank You! 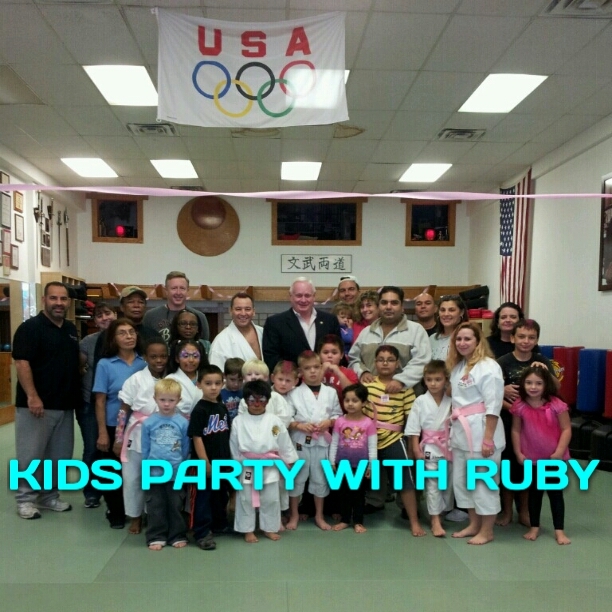 KIDS PARTY WITH RUBY Tel 646-683-1881 ruby@kidspartywithruby.com Copyright © 2012, Ruby. All rights reserved.